First and foremost, thanks to Willows East for this wonderful idea, when a community shares, great things happen! Said that, let’s have some Tarot fun! W.E. — What brought you to Tarot? This is not a story full of woo-woos, actually it lacks glam on the four corners. Everything started ten years ago, I was talking to a friend and he mentioned his girlfriend read cards, I felt attracted to the idea and less than a week later I bought my first deck (Da Vinci’s Tarot). The only thing I can say is I haven’t stopped reading ever since. 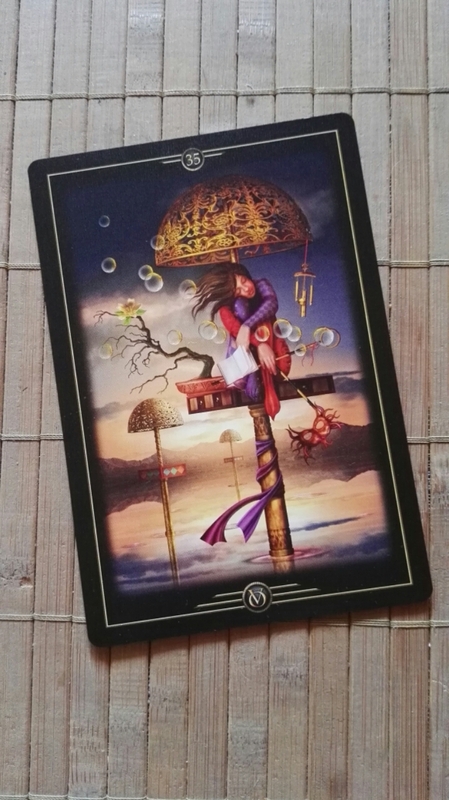 But, rather than answering what brought me to Tarot, I consider that answering what Tarot has brought to me would be way more relevant for understanding me. Tarot has, above all, given me a sense of purpose. It is not a magical, divine call, it is the plain joy I experience since I decided to make it my career, what makes me feel I am doing what I am meant to do. And it is this feeling of natural allignment what keeps me fighting for achieving my goal of making a living entirely out of my passion. W.E. — Which deck is your favourite? Tricky question. I couldn’t pick just one deck. It depends a lot on my mood and on my life context, let me explain. The aforesaid Da Vinci’s Tarot was my first deck, it was the one I learnt with and though I lost some of the cards it keeps surprising me when I look at it for its complexity. It wasn’t until I had been reading for a long time when I realized what a complex deck it is, probably it wouldn’t be a first choice for a beginner, but back in time I developed such a connection with this deck and it will always have a special place in my heart. I started collecting decks about a year into reading, I had about ten decks but I didn’t feel that connection again until I got Jane Austen’s Tarot (pause for reaction). It can be a “silly” deck, but for me, an Austenite, it allowed me to dive deeper into my readings thanks to its symbolism in relation with the books. A mixture of my love for Tarot and literature that meant a before and after in the depth of my readings, specially the romance related ones. My next favourite was Legacy of the Divine Tarot, I took it borrowed from acquitances who owned it, but I didn’t own a copy until this May and I am working a lot with this deck, but right now I’ve got to a point where I can read comfortably with almost any deck. Shadowscapes helped me a lot with spiritual readings, its symbolism is very rich and it opened up a whole new layer of meaning to the more mystic part of Tarot. Right now I am working with several decks and each one works differently but each of them keeps amazing me. Housewives Tarot works wonders for daily issues, while Legacy of the Divine is now my swiss knife. Recently I have been gifted a copy of Mucha’s Tarot and first thing I said was “It is like RWS but beautiful!” and I feel it is a deck that has a lot to offer. For a last, quick mention I’d like to talk about the most surprising deck that has come to my hands lately, The Deck of the Dead. It is a self published deck with an intricate and complex imagery that leaves me in awe each time I do a reading with it! W.E. — What is the purpose of your blog? Well, it is basically a window to allow people share my knowledge and experience, as well as it serves my purpose of building a legacy into the Tarot community. Besides, it helps me find likeminded fellows and keep researching, studying and discovering Tarot and other ways of divination. W.E. — What makes your business unique? I call it “The three Ps”; passion, pleople and purpose. I do this for a living because I just can’t imagine myself doing anything else. It helps me develop personally and spiritually, it helps me connect with people and develop my own tact, empathy and counselling skills, it helps me be more open to intuition and to others, it helps me feel grateful, joyful and useful and it helps me make a living. Just the perfect combo! W.E. — Ask your deck what it would like to share with your visitors. I’ll be using Ciro Marchetti’s Oracle of Visions for this one. Curiously, the card that came up talks about solitude and peace of mind. What I think my visitors need is to know that they are allowed to leave aside the burdening chit-chat and opinion of the world and listen to their own soul. It is just fine answering to their need for retreat as long as they don’t lose their focus and make it so frequent that they damage their connections ending up in isolation. Whatever it is, solitude is a concept to explore and sometimes, one can find the rightest answer to their concerns only by listening within. Do you want to discover more about me? Give a look to Readings By Mia Website. Previous postMy first collaboration in a Tarot newsletter. Next postKipper card 11 – Win Big Bucks. Thank you Julia 🙂 It is always good to be helpful! So, here I started this blog hop to drive traffic to our blogs, and now I’m reading all these posts and finding so much self-fulfillment and inspiration in them, more than I imagined. What a blessing to read this today! Your card-reading made me all teary, so good — thank you SO much for participating! Thank you Gretchen for this lovely project. As I said, great things happen when a community shares, and this kind of collaborations are very fruitful. Wonderful to get a behind the scenes look at your tarot journey and favorite decks! Thanks Kristen! It is great to share! I really enjoyed reading this, especially your description of “the three Ps” for your business 🙂 Wow!